Read good books. Get smarter. I really enjoyed this recent post on the Farnam Street blog: The Buffett Formula – How To Get Smarter. 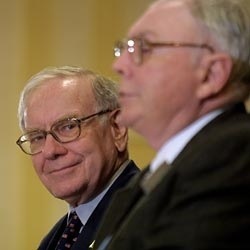 Warren Buffett and his partner, Charlie Munger, have done something right in their careers. They attribute much of their success and a lot of their time to one key activity: reading. Warren Buffett says, “I just sit in my office and read all day.” What does that mean? He estimates that he spends 80% of his working day reading and thinking. The reading they recommend is deep and challenging, not news and Twitter updates. I’ve got a stack of great books piled up in my iPad, but I need to be more intentional and structured about digging into and finishing them, not just grazing randomly through portions. Reading good books throughout my life has affected my worldview and my character more than any other activity. As a new academic year begins this week, I’m going to put together my own personal syllabus for getting smarter and reading books that spark new possibilities.